Around the world, businesses utilize email for communication, data transfer and collaboration. Email has been an effective tool for increasing business productivity and increasing data reliability. However, the ease of using email and the decreased formality can create unprofessional communications and data overload. 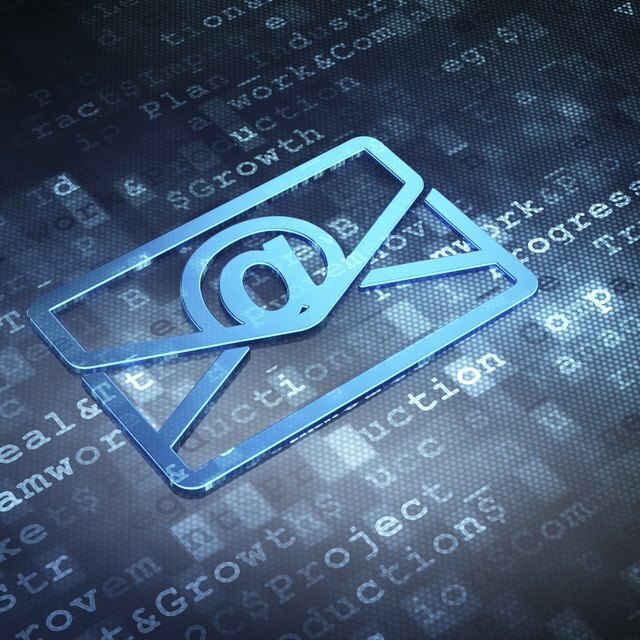 Using email for business also has the disadvantage of opening your computer network to potential viruses and malware sent through email attachments. Employees at all levels of the business can send emails to anyone in the business. This ease of sending messages bypasses the established chain-of-command and disrupts the standard review processes for human resource-related issues. This informality can also cause a disruption to executives who need to focus on high-level opportunities rather than day-to-day personnel issues. The ease of sending emails can decrease the accuracy of information. As a more informal medium, senders typically respond to messages quickly and do not review information. Employees may also feel pressured to respond to requests quickly without regard to accuracy. When messages are sent with inaccurate information, it can be difficult to correct the error due to the rapid dissemination of email to other parties. Email can increase business competition. Customers can forward sales quotes to competitors soliciting lower prices. If they receive a lower price, they may go with a competitor or come back requesting an even lower price. Email also makes it easier for your customers to work with offshore companies that provide services at lower prices due to lower wages and the lower cost of living in developing nations. Email can lead to a lower level of professionalism. Employees tend to use a less formal approach to communications when using emails, which can appear unprofessional to current and potential clients. Creative formatting through text and color changes can appear juvenile and inconsistent with your company profile. Email can increase the need for employees. Additional customer service employees may be needed to answer consumer emails, and more executive assistants may be needed to help sort and answer email communications for busy executives. Email can easily create information overload in recipients. The ease of copying messages throughout the organization can overload employees with unwanted or unnecessary information to review. Information overload decreases productivity. Data security can be difficult to maintain since sensitive information can easily be sent by email. Viruses sent through email attachments, which cause computer system damage and data loss, can compromise computer networks.